Tom Kariuki is Director of the Alliance for Accelerating Excellence in Science in Africa (AESA), a new funding platform for research jointly created by the African Academy of Sciences and the New Partnership for African Development Agency. Kariuki is a Fellow of the AAS and a graduate of UK’s University of York where he undertook his PhD studies in immunology. He previously served as the Director of the Institute of Primate Research/National Museums of Kenya. His research interests have spanned the immunology of infectious diseases and he has been fully involved in global research efforts to develop vaccines, drugs and diagnostics for infectious diseases of poverty. He has published widely in major journals on infectious diseases research and on policy issues related to biomedical sciences and funding. He is a recipient of various international awards including Fellowship of the African Academy of Sciences; Senior Fellowship of the European Foundations Initiative for Neglected Tropical Diseases; and was conferred with national honours of the Order of Grand Warrior of Kenya for scientific leadership and public service. 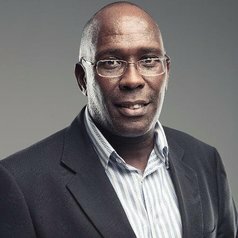 He is the immediate past President of the Federation of African Immunological Societies (FAIS), a committee member of the International Union of Immunological Societies (IUIS)-Education Committee, and served on the interim board of the newly launched African Research Network for Neglected Tropical Diseases (ARNTD).